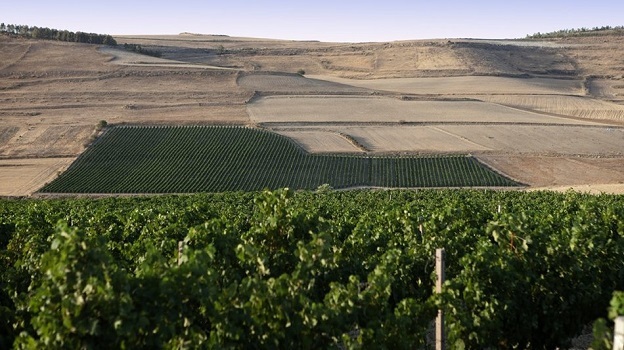 Of Italy’s two main island regions, it is undoubtedly Sicily that has grabbed the lion’s share of the wine spotlight over the last twenty years. But Sardinia’s many exceptional wines clearly deserve more attention. Sardinia’s lack of large, moneyed estates, often owned by noble families, that characterize Sicily’s vinous landscape has hurt the smaller island in the communications and public relations arena. But the fact remains that Sardinia offers oenophiles a treasure trove of exciting wines. Based on the latest available data, Sardinia produced roughly 650,000 hectoliters of wine in 2013, an increase not just on Sardinia’s 2012s production volume (+27%) but also on the 2012 countrywide average (+18%). Interestingly, Sardinian wine production has been increasing steadily of late, by an average of 23% annually over the 2008 to 2012 period as compared to a much more moderate 7% for Italy as a whole. Sardinia produces white and red wine in roughly equal volume. Furthermore, the island has always been a mecca for sweet wine production. Sardinia’s penchant for red wine production should not come as a surprise given that the regional cuisine boasts a wide range of generally hearty meat preparations in addition to its many delicate fish dishes. Sardinia’s most popular wine is also the island’s only DOCG, Vermentino di Gallura. At roughly 42,000 hectoliters per hectare produced each year, it’s the island’s third most important wine in terms of quantity. Vermentino di Sardegna DOC (at roughly 95,000 hectoliters per hectare) sits at the number two position in yearly volume, so it is obvious that Vermentino is Sardinia’s most visible wine, even if the island offers a plethora of other interesting and unique white wines, too often made in distressingly small quantities. But Sardinia’s leader in terms of volume (at roughly 105,000 hectoliters per year) has long been Cannonau di Sardegna. Sardinia’s most important white grapes are the aforementioned Vermentino (the Rolle or Malvoisie Gros Grains of France and Spain), Nasco (a very old variety that gives lovely dry and sweet wines with musky notes), Nuragus (a rustic, hardy variety whose wines of typically show a resiny quality), Semidano (unfortunately on the decline owing to its low productivity, but the source of Sardinia’s most refined white wine), Vernaccia di Oristano (completely unrelated to Italy’s other well-known Vernaccia grapes, it gives Sherry-like wines with an oxidative twist) and Malvasia di Sardegna, which, like Nasco, is used to make both excellent dry and sweet wines. In addition to Cannonau (a local variant of Grenache), red grapes common to Sardinia include Carignano (the Carignan of France and Spain), but there are also small plantings of Cagnulari (which yields midweight, highly perfumed wines), Bovale Sardo (a sturdy, blending grape), Girò (increasingly rare but lovely delicate, perfumed sweet red wines), Monica (delicious midweight wines) and Nieddera (the most perfumed of all of the island’s reds, it is also used to make lovely rosato wines). Nebbiolo lovers will be surprised to know that Sardinia is one of the few places where this noble variety also grows successfully. 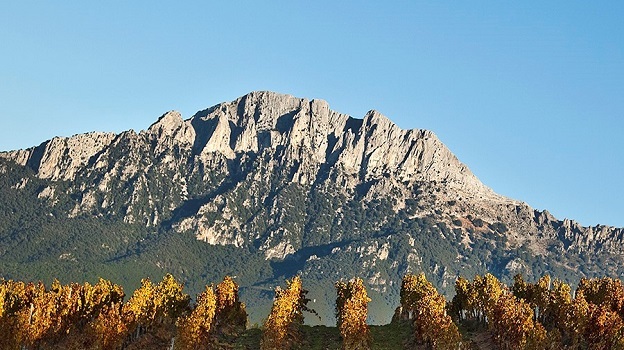 Wines sporting the Colli della Limbara denominazione are made mainly with this northwestern Italian native. In many respects, Sardinia has it all, and not just with respect to wine. Without doubt, Italy’s most wildly beautiful beaches are in Sardinia. Characterized by very fine white sand and crystal-clear pale blue water; they seem to have been airlifted to the Mediterranean via the Caribbean. Such a marine-influenced landscape is ideal for producing fresh, crisp light white wines. However, Sardinia’s hilly, rocky interior offers many other viticultural possibilities; in fact, the island’s enormous range of different exposures, slope gradients, geologic formations and microclimates make it a grape-growing paradise. This diversity of terroirs explains the large number of wine grape varieties that have long called Sardinia home, many of which are for the most part completely unknown to the general public. 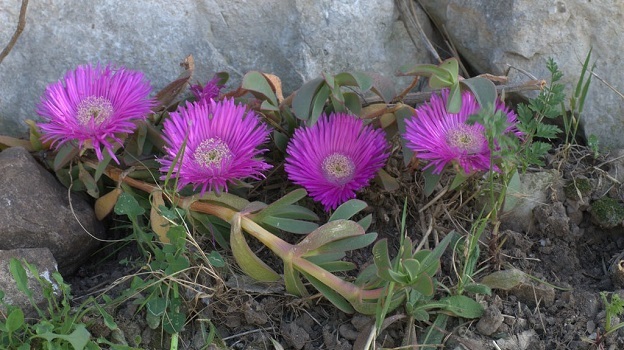 In fact, most local university researchers hypothesize that at least another hundred different cultivars growing in Sardinia still await genetic identification. Because Sardinia is a hard-to-reach island in the middle of the Mediterranean, with a rocky, often inhospitable interior that makes moving around a chore, Sardinia has always been characterized by highly fragmented agricultural practices, with a strongly local imprint. The positive effect of this is that very little genetic contamination has occurred on the island throughout the centuries. If anything, many of Sardinia’s grape varieties actually hail from Spain (don’t let the Sardinians hear you say that! ), as the island was under Spanish rule for more than 400 years. But those cultivars have had centuries to adapt and mutate in response to the island’s many unique microclimates and habitats. This has led to many different biotypes of the island’s wine grape varieties appearing over time. For example, it is easy to distinguish between the Cannonau of Sardinia and the Grenache of Spain, and not just ampelogically but simply by tasting the wines. Clearly, the extent of mutation hasn’t yet led to differences in these cultivars as obvious as those found in the Pinot family but it’s really just a matter of time. Certainly, Cannonau wines made from grapes grown in the Jerzu area—a grand cru for the variety, in my opinion—are markedly different, at least to an experienced taster, from those made from Cannonau grapes grown elsewhere on the island. A Victim of the Success of Vermentino? Unfortunately, all is not well with the island’s grape varieties. In many respects, Sardinia has become a victim of the huge success of its Vermentino wines—and, to a lesser extent, its Cannonaus. Nowadays, producers are increasingly planting Vermentino to the detriment of many less-known grapes that are capable, in the right hands, of giving very high-quality wines. For instance, the Semidano variety gives more complex and refined wines than Vermentino, and Nasco has plenty to say as well, yet planted acreage of each is steadily declining. Cannonau, on the other hand, has seen its plantings increase since 2007. Even allowing for significant errors in the collection of grape data, which is always a possibility in Italy, where the experience of those gathering data is often questionable, the heavy emphasis on the usual suspects does not bode well for the future of wine production on the island. That’s because if and when the Vermentino craze dies out or weakens, producers may well find themselves left with a lot of young Vermentino vines of no interest to anyone. Weather conditions varied widely throughout Sardinia during the 2012 growing season. Western Sardinia recorded much higher than usual rainfall and cooler temperatures, while the southern part of the island benefited from much sunnier, warmer weather. Nasco and Malvasia wines are best, while Cannonau vines were affected by berry shatter and millerandage. The 2012 vintage was marked by one of the driest Junes of the last ten years; August was dry and torrid as well, but late July rainstorms (especially in northern Sardinia) helped replenish the low water reserves. Overall, 2012 is a vintage that favors red wines in Sardinia, even if its intensely colored, rich wines generally lack the supple tannins and complexity of the best years. September thunderstorms in the Gallura (a high-quality Vermentino production zone) caused significant damage to the vines and plagued the harvest. The 2011 vintage was quite good in Sardinia, with conditions characterized by a warm spring and early summer and little or no disease pressure, unlike 2010. Cooler-than-average temperatures and some rainfall prevented water stress, while a hot, dry August led to a slightly early, uneventful harvest. Much like in 2012, Vermentino suffered from a flowering hampered by early-season rains. In my opinion, 2010 is a great vintage in which the only issue is very low yields. It’s a year of generally highly perfumed white and red wines (especially Carignano, Cannonau and Monica) with lively acidity, noteworthy refinement and excellent ageworthiness. Quality was all over the place in 2009 because of an extremely hot summer followed by copious rainfall in September and October. The better reds are soft and showy but lack the depth and texture of great vintages.